You are here! Welcome to our community. 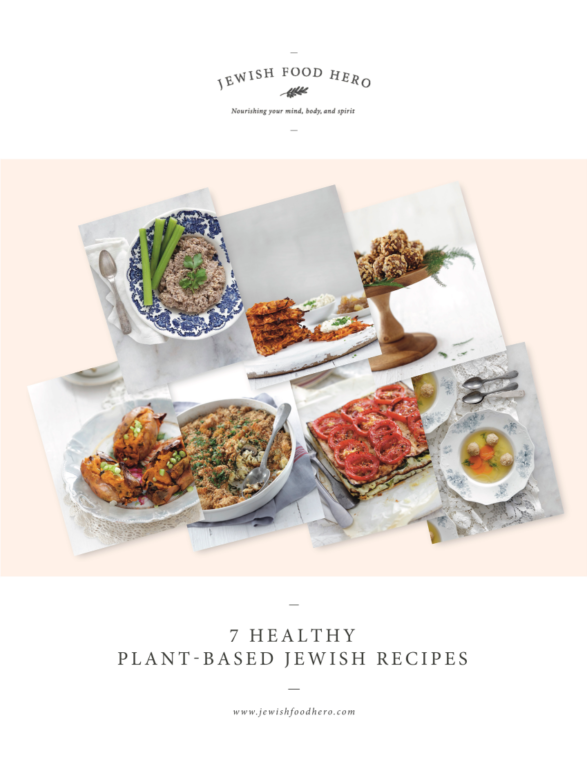 Your free cookbook: 7 Healthy Plant Based Jewish Recipes is on its way! Be sure to keep an eye on your inbox and check your spam filter if you do not see it soon. While you’re here, I am linking to some of Jewish Food Hero’s most popular posts below. May these recipes and thoughts inspire and support you. Thank you again for trusting me enough to show up here.